8:30 a.m. — A caller from the 800 block of East Main Street reported a man selling generators out of his truck. Contact was made and the man provided documentation that he owned the generators. The man was moving along. 9:17 a.m. — A caller from the 800 block of Sutton Way reported someone trespassing inside a business. An arrest was made on charges of trespassing. 10:56 a.m. — A caller near Bennett Street and Iron Horse Place reported a man trying to flag people down. There was a vehicle with him and the man kept pointing to something in his hand. 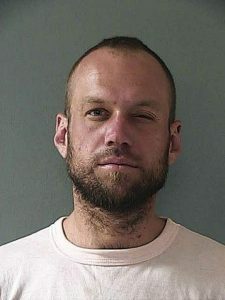 An arrest was made on charges of failure to appear. 10:59 a.m. — A caller near the corner of South Auburn Street and West Main Street reported a man sitting on a bench making repetitive statements to himself. The man was found speaking loudly to himself and was asked to stop shouting. 1:13 p.m. — A person in the police department lobby reported her father threatened to kill her while in South Dakota. The person said he’s being followed by various people and had a several thousand dollar hit out on him. 1:15 p.m. — A caller from the 100 block of West McKnight Way reported a transient trying to start a fire behind a business. A person was found cooking with fire behind a business. After the fire was put out, the person was supplied with Grass Valley Police Department camping rules and regs, and also supplied with a pamphlet explaining municipal code. The subject moved on. 1:54 p.m. — A caller from the 200 block of Dorsey Drive reported people going door to door claiming to be selling phones but asking for social security numbers. 3:06 p.m. — A caller from the 300 block of Idaho Maryland Road reported a transient hunkered down on a bank just behind a business. Contact was made with a transient from out of the area. He was advised of more appropriate resting locations. 5:57 p.m. — A caller from the 300 block of Hill Street requested contact referring to video surveillance she had from last month and her residence was burgled prior to that. The caller would like her name to not be said over the radio. 10:22 p.m. — A caller near the corner of Brunswick Road and East Main Street reported a woman carrying a shovel and throwing shovels of dirt and rocks into the intersection. 11:14 p.m. — A caller from the 100 block of South Auburn Street reported a man possibly on drugs. The person came in and out of a business and was disturbing customers. The person was leaving and acting the way he normally did. 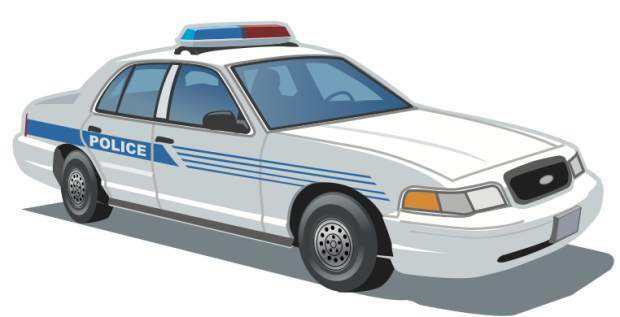 12:31 a.m. ­— A caller from the 300 block of East Main Street reported a stolen vehicle. Keys were left in the unlocked vehicle. 1:46 a.m. — A caller from the 800 block of Forest Glade Circle reported five different people on the property, three of them in the bushes by the driveway. The caller also said he smoked three bowls of marijuana in two hours. The caller was advised to go to bed or jail. 4:15 a.m. — A person was stopped near the corner of Lake Wildwood and Lake Forest Drive. 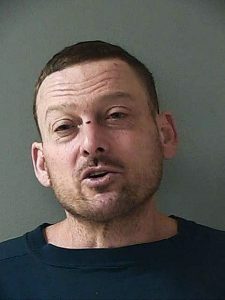 A person was arrested on charges of possession of a controlled substance for sale, transporting a controlled substance, license requirements, receiving known stolen property and possession of controlled substance paraphernalia. 8:14 a.m. — A caller near the intersection of Highway 49 and Alta Sierra Drive reported two people with a gas can. The caller believed it suspicious due to recent fires. 1:18 p.m. — A caller from Spenceville Road reported being a teacher at a school and heard seven gun shots in the area. They appeared to be coming from the downtown area of Penn Valley and not on the school grounds. Officers found it quiet on arrival. 1:49 p.m. — A caller from Meadow Park reported theft of a boat, believed to have been taken sometime between June and Oct. 10. 2:27 p.m. — A caller from Auburn Road reported in October of 2016 she was pushed against a Jeep, a shovel was about to smash her head and she was thrown against a wall. The parties are now in a custody battle and the caller wanted to report it. She now lives in Costa Rica. 3:51 p.m. — A caller from Country Heights Drive reported receiving calls/mail for a person who is possibly using her information. 5:22 p.m. ­— A caller from Driftwood Court reported someone in the area that appeared suspicious and the caller was concerned the person may be trying to loot in the area. Officers were unable to locate anyone. 5:46 p.m. — A caller near the corner of Taylor Crossing and Dog Bar Road reported two vehicles. The caller thought it was a drug deal because they were pulled up next to each other on the side of the road and that they always have nothing but problems in the area. 9:10 p.m. — A caller from Gray Lane reported a loud party with loud music occurring on his street. The caller asked them to turn it down. The party had been ongoing for hours. 9:57 p.m. — A caller from Diamond Back Way reported her daughter’s boyfriend was “acting up” and is on probation. The caller said she was on drugs but wouldn’t say what. She said to send someone out and then set the phone down. The caller was uncooperative and tried to put her daughter on the phone but she refused. The caller advised her daughter and the boyfriend were arguing. 11:19 p.m. — A caller from Wilson Road reported her neighbors have been prowling around her house for four years. 5:25 p.m. — A caller from Cement Hill road reported a transient camp at Hirschman’s Pond had returned. 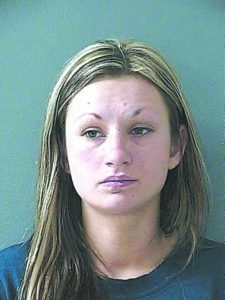 An arrest was made on charges of a probation violation and trespassing.